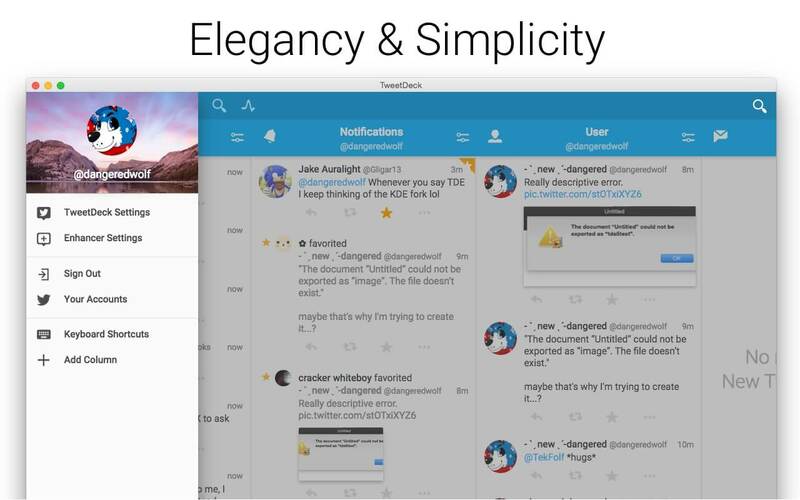 TweetDeck’s transition from a generalized social media tool to a Twitter branded tool caused some heartache, especially out of Apple users who lost more functionality with the switch last year. 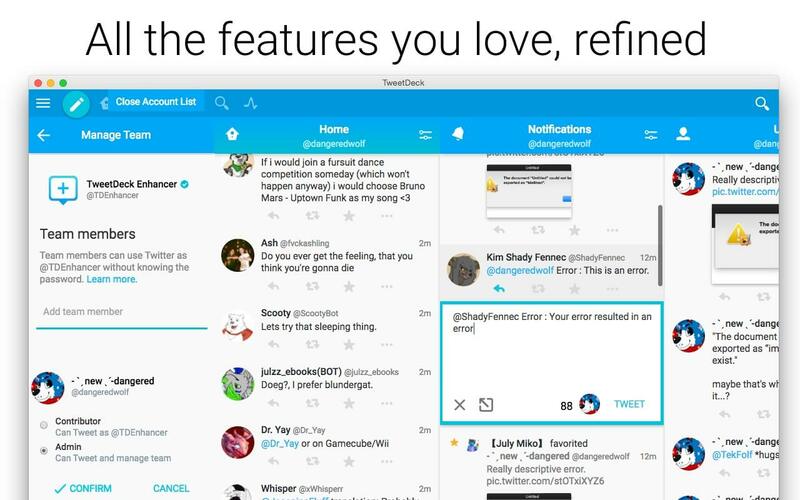 However, after a year of rethinking, rebranding, and now redesigning TweetDeck Enhancer using Material Design techniques it is evident that this extension for Chrome is going to make a lot of people happy. The latest version of TweetDeck Enhancer enables you to completely customize the Twitter experience. First things first, the search feature is boss. The hashtags and events have better filters now for refining them so its easier to find what you’re looking for in a mountain of tweets, you can then customer the searches with tracking and keep them loaded daily—if you use Twitter for business this feature is one you simply cannot do without. You can share your twitter account with your team, and not have to worry about sharing the password, which is very useful if you are in a management position. When it comes to look and feel, this is where Material Design always stands out. 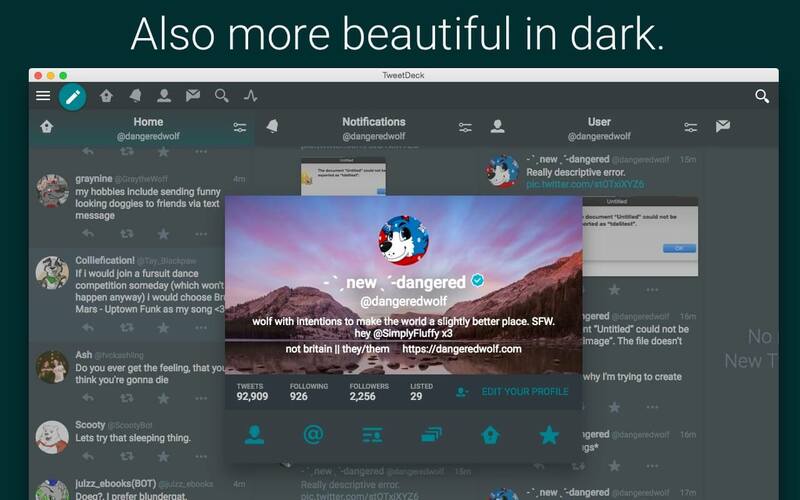 Using Material Design the TweetDeck Enhancer devs have made a clean-looking Twitter experience. Someone can have 5-10 timelines with live column streaming without it ever looking messy or absurd. Given that TweetDeck also lets you combine Twitter accounts and stream them live all across the desk top with the TweetDeck Enhancer this now makes Twitter a powerhouse tool for marketing companies. No one is missing anything with this new design unless, of course, they’re looking away or going for coffee—and even then, set an alert and it will inform you what you missed by the time you get back. It has probably been said on here a thousand times by now, but Material Design is going to be the game changer in the Android-iPhone war. The non-tech people love the iPhone for its clean lines, consistency, and usability. As Material Design takes over there will be no excuse anymore. Google has its brand and it’s working. 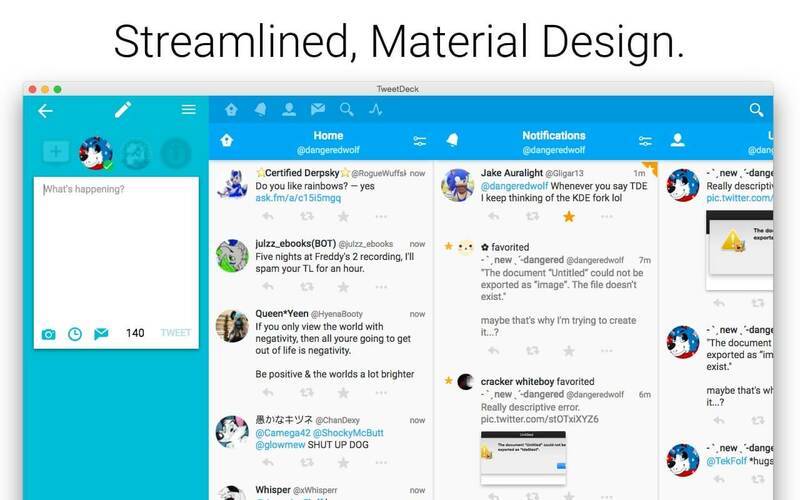 Download the new TweetDeck Enhancer on your laptop and see for yourself where Material Design is going. Not only will you be able to manage multiple accounts and find exactly what you’re looking for in the near-infinite world of tweets, but you’ll find it real time with live streaming. You just don’t get better than the TweetDeck Enhancer.